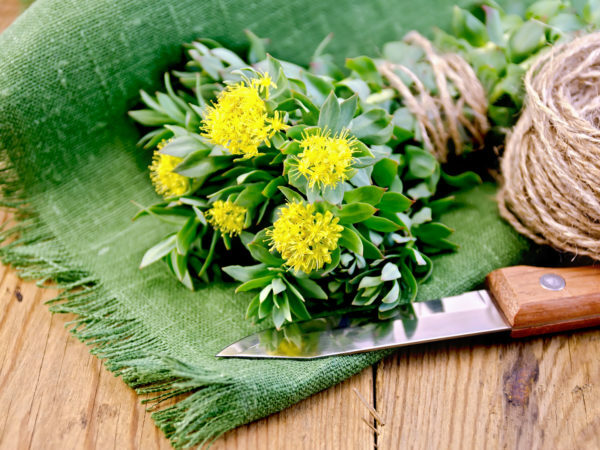 Rhodiola Rosea, Golden Root | Herbal Remedies | Andrew Weil, M.D. Rhodiola rosea (also know as golden root, Arctic root, or rose root) grows in dry, cold, rocky environments including far northern and high altitude parts of Europe, Asia and Alaska. Extracts and other preparations have been used for 3,000 years in Europe and Asia to increase energy, endurance, strength and mental focus. Rhodiola has been termed an “adaptogen” – a term coined by Russian toxicologist N. V. Lazarev in 1947 – to signify herbs or other substances that, when ingested, appear to help an organism in a variety of ways to increase resistance to stress. In a 2009 review on adaptogens, the authors concluded that there was strong scientific evidence that Rhodiola rosea SHR-5 extract improved attention, cognitive function and mental performance in fatigue and in chronic fatigue syndrome. Medical studies of its potential uses have appeared in scientific journals in Sweden, France, Germany, Iceland and Russia as well as the U.S. Traditionally, rhodiola has been consumed as a tea made from the plant’s flowers. Its succulent leaves and shoots have also been eaten raw or cooked like spinach. However, it is the root that has been used as an herbal medicine for centuries. Today, rhodiola is widely available as an extract with standardized constituents. Rhodiola is widely regarded as an herb remedy that boosts energy, attention span, mood and productivity. The most persuasive evidence for its efficacy in treating health conditions came from a 2011 review of 11 human studies, all placebo-controlled. After concluding that all of the studies were of either moderate or good quality, the summary analysis concluded rhodiola may indeed improve physical and mental performance and alleviate certain mood disorders. The researchers also said adverse event reports were rare. Other studies have shown specific effects against mild-to-moderate depression and generalized anxiety. 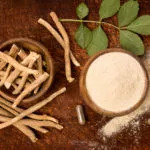 Natural Medicines Comprehensive Database (NMCD) concludes in a monograph last reviewed on April 12, 2013, that “[p]reliminary research” suggests efficacy against mild-to-moderately severe depression and fatigue, and a small study suggests some ability to reduce anxiety. The NMCD rates rhodiola as “possibly safe” when “used orally and appropriately” in the short-term. Clinical research indicates taking up to 340 mg twice daily for up to 10 weeks is safe. There is insufficient information available regarding safe use during pregnancy or while breastfeeding – avoid using when pregnant or nursing. Use a standardized extract. Look for products that are similar to those studied in clinical trials containing 2-3% rosavin and 0.8-1% salidroside. Start with 100-150 mg once a day for a week. Increase the dosage by 100-150 mg every week, up to 400 mg a day, if needed. Rhodiola has not been studied in children and cannot be recommended at this time. My friend and colleague Tieraona Low Dog, M.D., an expert on botanical medicine, says rhodiola is among her favorite herbs for counteracting “21st century stress.” In other words, she has found that it effectively addresses the increasingly common problems of fatigue, difficulty concentrating, lack of energy and, possibly, mild depression. Because some people get a stimulating effect from it, she recommends taking it early in the day to avoid interference with sleep. Hung SK, Perry R, Ernst E. The effectiveness and efficacy of Rhodiola rosea L.: a systematic review of randomized clinical trials. Phytomedicine 2011 Feb 15;18(4):235-44. Rhodiola. Natural Medicines Comprehensive Database. Stockton, CA: Therapeutic Research Faculty. [Updated Sept. 25, 2011; Reviewed April 4, 2012; Accessed Jan 9, 2014].